During summer, holidays, breaks, and finals, see calendar below for special hours. 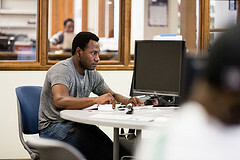 The 2nd floor of the library is open 24 hours all year unless otherwise noted. After closing, the 24 hour area of the 2nd floor is open to Rollins students, faculty, and staff only. Click here for the Spring 2019 calendar. Click here for a list of important dates. 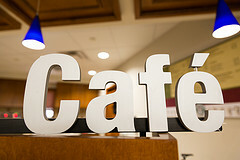 Menu and hours for the Bookmark Cafe are listed on the Dining Services website. You can view the Help Desk's hours on their website, or you can call them at 407-628-6363.